It’s been a big and interesting year in 2015 for Hong Kong, let’s take a look at some of the top headlines! Protests led by radical Hong Kong political parties and Northern district locals escalated during 2015. Much anger of the protesters was directed at both the mainland Chinese parallel traders which were importing goods across the border back to China and the Hong Kong government for its failure to take swift action on the matter. Parallel trading has caused shortages of many basic goods in Northern districts of Hong Kong and inflated prices due to the increased demand by mainland Chinese parallel traders. Major protests and confrontations with the Police took place in Tuen Mun, Sha Tin and Yuen Long. The Hong Kong and Chinese governments eventually placed some minor restrictions on cross-border flows late in the year to little appeasement of the protesters. Several Hong Kong public housing estates were found to have an unsafe level of lead in its water supply. The scandal was revealed after the Democratic Party commissioned testing in June indicating that Kai Ching Estate in Kowloon City was one of the worst effected estates. The level of lead in the water was found to have exceeded World Health Organisation standards. Two other public housing estates in Kwai Chung and Shai Tin were also found to have contaminated water prompting a backlash against the government overs its mis-management of the properties and construction works. The opposition Democratic Party also tried to use the scandal to highlight the government’s inability to be an effective ‘people’s government’. Pro-Beijing parties were embarrassed by the failed vote on the controversial ‘electoral reform’ plan that would have allowed for increased suffrage for Hong Kongers to select from Beijing approved candidates. This plan was labelled as ‘fake democracy’ and was one of the main causes of the 2014 Occupy Central and Umbrella Movement protests in Hong Kong. The vote which required a two-third majority to pass was already destined to fail with the pro-Beijing parties (supporters of the plan) lacking the numbers in the Legislative Assembly. On the day of the vote many pro-Beijing legislators walked out right before the historic vote in an attempt to delay proceedings using a technicality of the quorum rule, however this was poorly communicated resulting in the plan being defeated in a landslide vote with 8 votes in favor, 28 against, and 33 absent. Many alumni, students and academics in Hong Kong are furious at Chief Executive Leung Chun-Ying’s decision to appoint pro-Beijing Arthur Li as Hong Kong University’s (HKU) governing board chairman. At a non-binding vote in November by HKU alumni on whether Li, also a close friend of Leung Chun-ying should be appointed, 98 percent said he should not. This follows the pro-Beijing university’s council’s much criticised decision to rejected liberal law scholar Johannes Chan as pro-vice chancellor at the university. Hong Kong students and academics have been raising concerns over Beijing’s increasing influence in the educational curriculum in the Special Administrative Region with many seeing it as attempt to promote mainland Chinese nationalism. Hong Kong’s universities has been subject to much controversy since the 2014 Hong Kong protests with political tensions also being played out in the ranks of governance of the higher education institutions and with a number of student unions quitting the Hong Kong Federation of Students. The Hong Kong District Council Election as the first major vote since the 2014 Hong Kong protests was a major test of the Special Administrative Region’s socio-political situation. Despite the pro-Beijing Democratic Alliance for the Betterment and Progress of Hong Kong (DAB) Party dominating in the results, the poll also resulted in the election of many young Councillors in the post-Umbrella Movement political situation in Hong Kong. A number of political veteran candidates including Albert Ho Chun-yan and Chris ‘tree gun’ Wong were defeated. Despite the rise of a many radical political agendas in 2015, none of the extremist parties including pro-Hong Kong independence candidates were elected in a sign of Hong Kong’s shift to the political centre following the 79 day Occupy Central and the 2014 Hong Kong pro-democracy protests. The Hong Kong Executive Council announced that the financially struggling a-TV network’s broadcast license would not be renewed after April 2016 citing poor management by the company and its inability to pay its employees. The decision to revoke a-TV’s broadcast license leaves Hong Kong with the pro-Beijing TVB as the only mainstream free to air network. a-TV’s shutdown will see its frequencies divided up between Hong Kong Television Entertainment (HKTVE) and RTHK. The government’s decision over broadcast licenses has been controversial with the Executive Council’s refusal to grant Hong Kong Television Network Limited (HKTV) access to free-to-air frequencies. Many believe that HKTV’s application for a license being refused despite a-TV’s closure is because of founder Ricky Wong’s political views potentially upsetting Beijing. 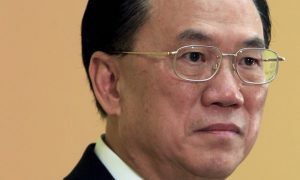 Former Hong Kong Chief Executive Donald Tsang has been charged with corruption after an extensive investigation which found that his alleged failure to disclose a conflict of interest regarding a three-storey Shenzhen penthouse between 2010 and 2012 when he was the Hong Kong leader. Tsang is also accused of approving a licensing bid by Digital Broadcasting Corporation without it having valid basis to benefit Bill Wong Chor-bau and for nominating Chor-bau’s apartment interior designer to the city’s top honors. Tsang was not prosecuted for his luxury yacht trips and private jet flights which he received at a discount from various Hong Kong tycoons. Tsang says that he has a ‘clear conscience’ and has pleased not guilty to the charges with a full trial for the 71 year old to now take place at the High Court. Current Chief Secretary Carrie Lam Cheng Yuet-ngor has defended Tsang, saying she felt “privileged” to have worked closely with him in the past. 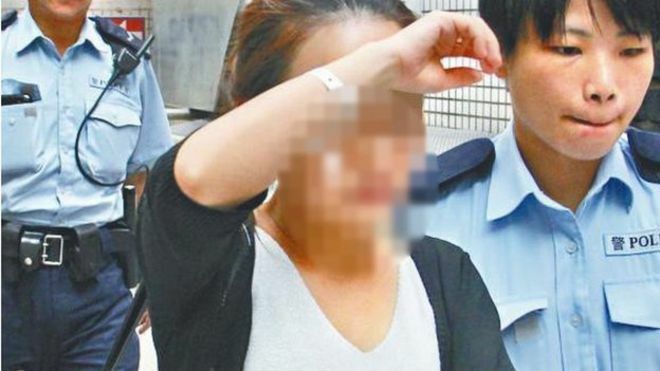 Queenie Rosita Law, the granddaughter of late Bossini founder Law Ting-pong was dramatically kidnapped in April from her luxury home in Sai Kung by a gang who escaped with more than HK$2 million in cash and valuables. Law was held captive in a cave at Fei Ngo Shan for three days before being released after a ransom of $28 million Hong Kong dollars was paid for by her father Raymond Law Ka-Ku. Following a massive Police operation in Hong Kong, a 29-year-old suspect was arrested at the Lo Wu border crossing checkpoint while seven other mainland suspects from Guizhou province, including the alleged ringleader, were arrested in Shenzhen and Guangdong by mainland Chinese police. Part of the money and jewelry was recovered although $6 million Hong Kong dollars has yet to be found. A Chinese tourist has died in Hong Kong a day after being beaten up during a so-called “forced shopping” tour. It is believed that the 54 year old victim was intervening in a fight between a tour guide and another tourist who refused to buy jewelry in Kowloon. There has been growing resentment among tourists towards ‘forced shopping’ tours in Hong Kong as tensions between Hong Kong and the mainland Chinese continue to grow as a major social issue. The Hong Kong Tourism Board has expressed regret at the incident while China’s National Tourism Administration has urged Hong Kong authorities to protect mainland tourists’ rights. The death of the Chinese tourist has led to some calls in the mainland for a boycott of Hong Kong as a tourist destination which has not eventuated although a slight slowdown in the number of Chinese visitors took place in the later half of 2015. A Hong Kong housewife has been convicted to abusing a young Indonesian maid in a case which has prompted calls for better protection of domestic servants. Law Wan-tung, a 44-year-old mother of two was found to have regularly deprived her maid of food, sleep and payment for long hours of grueling work. Upon Sulistyaningsih’s attempted return to Indonesia, she was encouraged to raise her situation of torture by other Indonesian women whom she was travelling with at the airport. Following the guilty verdict for Law which was met with calls for the law to be changed in Hong Kong to allow domestic foreign workers to live outside their employers’ home, Sulistyaningsih said that wouldn’t be returning to Hong Kong and to her former life as a maid. Sulistyaningsih says she would like to start a foundation to help other migrant workers. Previous Post:Year in Review: What on earth happened to Australian Politics?